As the winter-feeding season kicks into gear, thousands of large round bales will be moved from storage to feeder. Bruce Anderson, extension forage specialist with the University of Nebraska, reminds livestock producers to remove any net wrap or twine before cattle are given access to the hay. 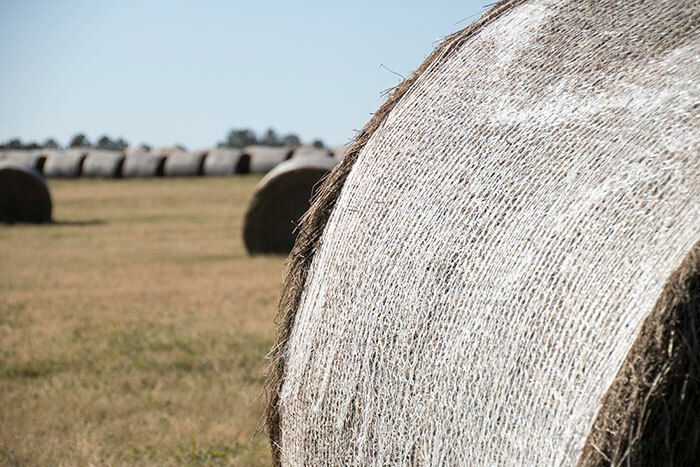 “It’s easy to lighten the workload and not ensure that bale wrap is completely removed when feeding hay,” Anderson says in a recent issue of Nebraska’s BeefWatch newsletter. Anderson cites research from North Dakota University that showed neither plastic net wrap nor biodegradable twine are digested in the rumen. Sisal twine, which is much less common these days, does get digested but much more slowly than hay. In a follow-up study, net wrap was included in a steer feed ration for an extended period of time. Fourteen days before the steers were harvested, the net wrap was taken out of the ration. The researchers found that the net wrap didn’t clear the rumen in the two-week time period. To conclude, Anderson encourages livestock producers to think about how shortcuts and work-reducing actions this winter might affect livestock performance and health.